Isern Associats Arquitectes have relied on Natucer ceramic tiles from the Squama series for the design of the Caprici hotel rooms in the Santa Susanna area of Barcelona. 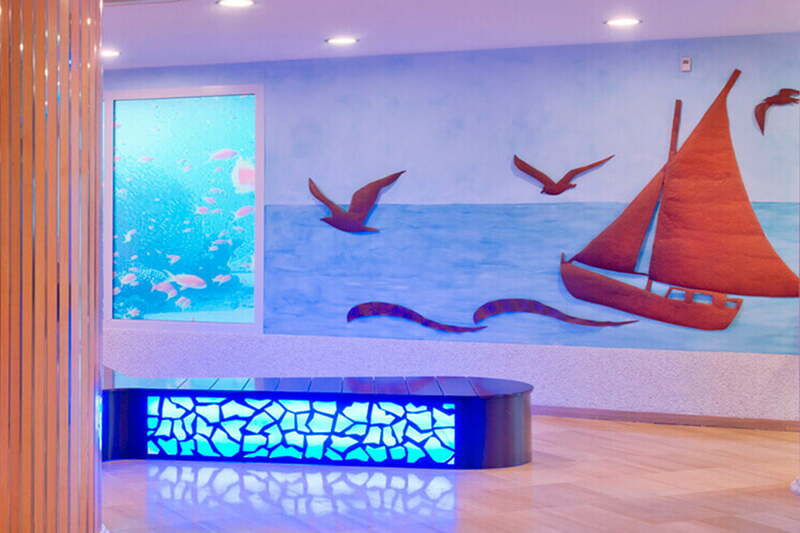 The company responsible for supplying the material for the realization of the project was Azul Acocsa. 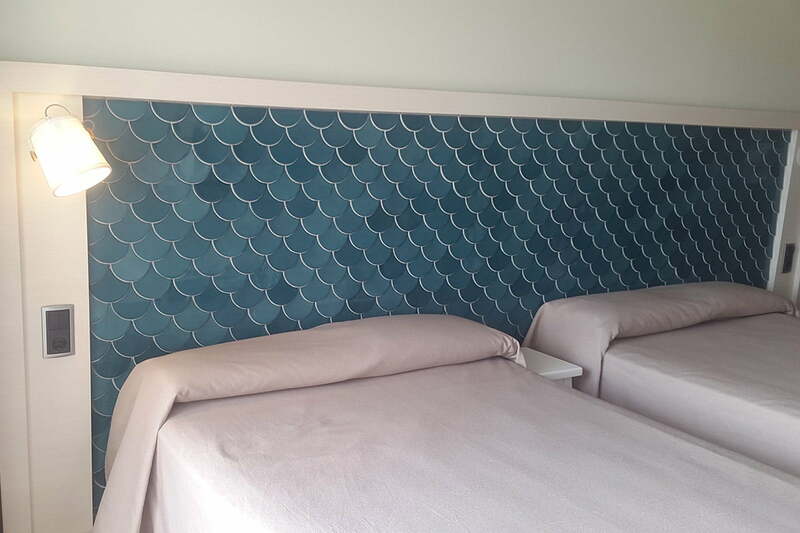 The heads of the beds are decorated with the ceramic scales in Olive color of the Squama series, giving the room a unique look, continuing the line of decoration reminiscent of the marine world that the whole hotel presents.